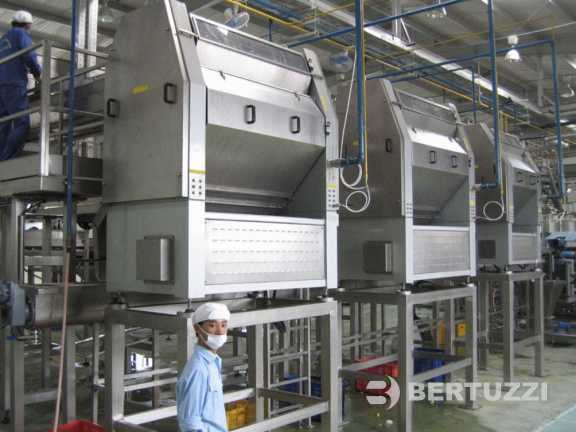 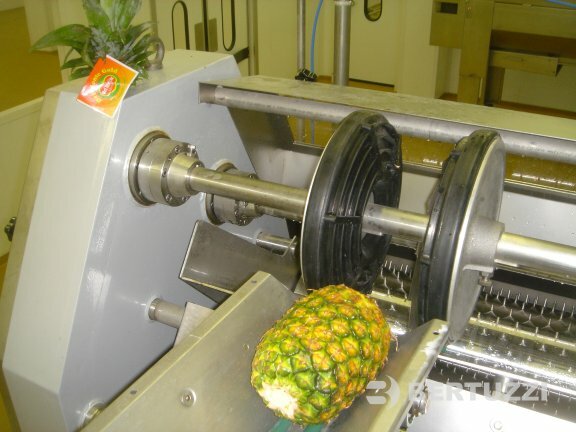 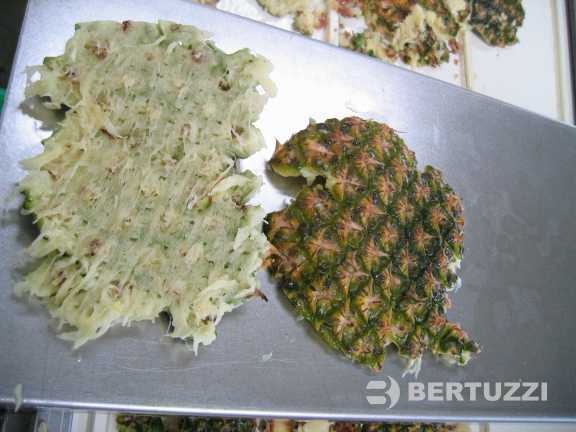 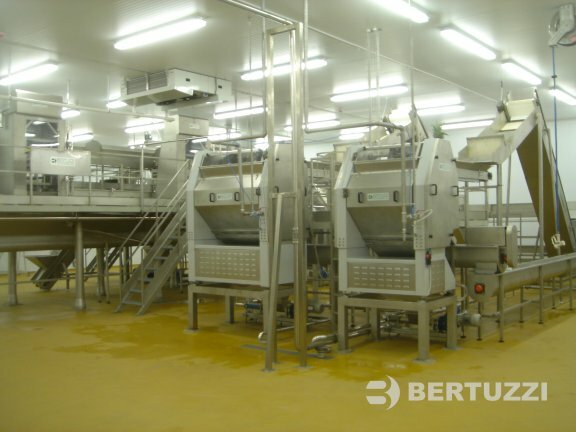 The Pinetronic is a unique extraction unit, suitable for round and ripe pineapples, able to extract the high quality juice in hygienic conditions, as the juice and the pulp have an extremely low contact to the peel. 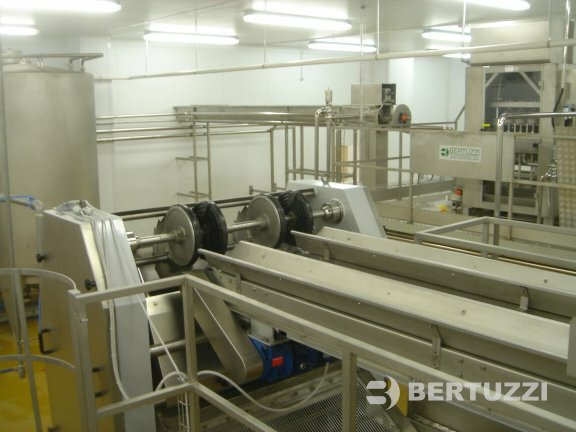 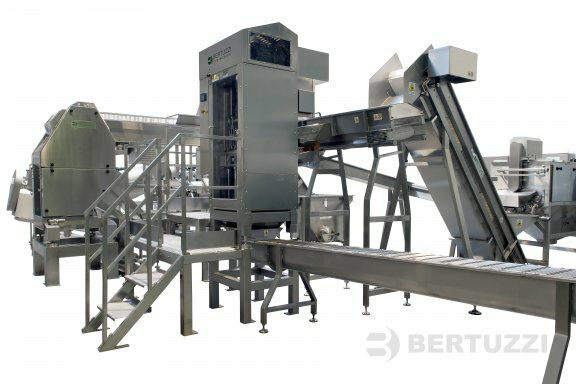 The machine cuts the fruit in two halves, squeezes and scrapes the pulp adherent to the peel, eliminates the peel thus obtaining a high quality pulpy juice, in high hygienic conditions. 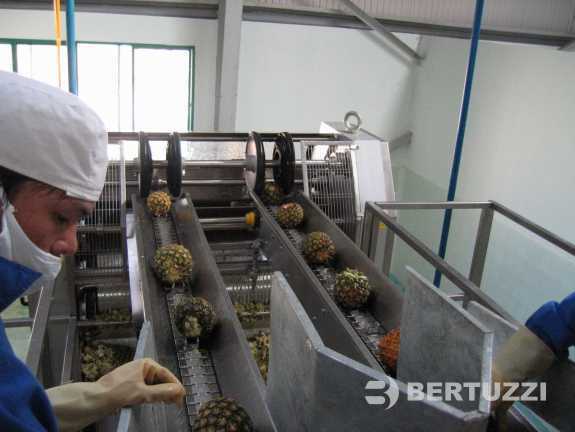 The fruits are conveyed to the loading hopper and are led to the centring group which pushes them against the rotating blade thus obtaining a diametrical cut. 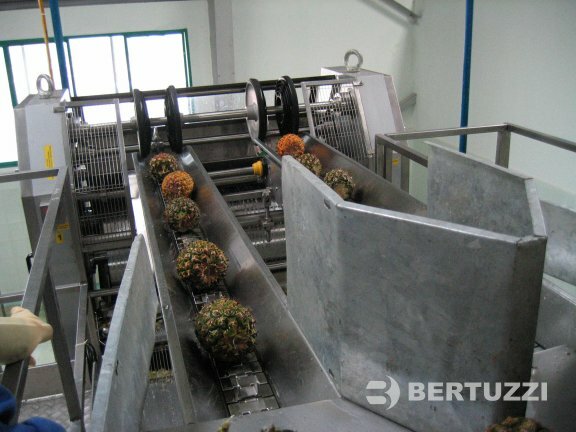 The half fruits fall between the two special extraction rollers and are driven against a refining grid. 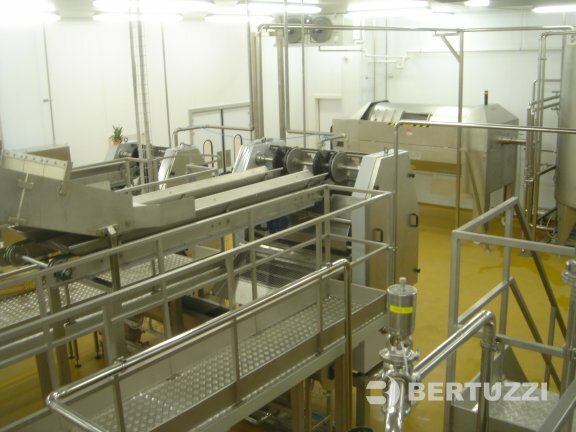 The peels are then taken by a third toothed roller which, thanks to a special scraping blade, removes all pulp still adherent to the peel. 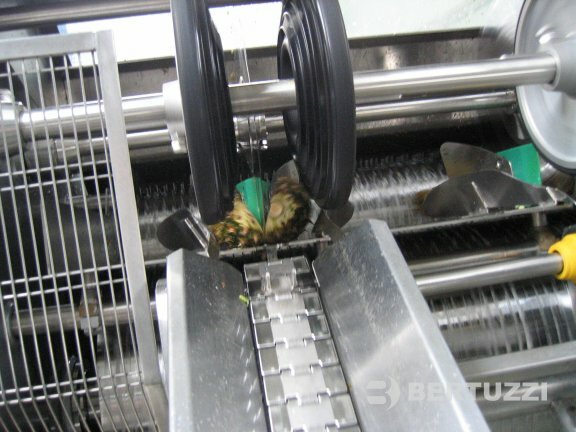 position of the peel scraping blade for final juice recovery from peel (adjusted from 2-3 mm to 5-6 mm according to the consistency and thickness of the peel).